Are you looking for ways to earn extra income online in 2019 ? If you are a into forex trading, making a bit of cash on the side could be as easy as copy trading. Copy trading involves copying leading forex traders and building your own trading portfolio without having to put in a lot of time in coming up with your own strategy. If making passive income as a forex trader is an appealing idea to you, consider copy trading sites such as OctaFX. 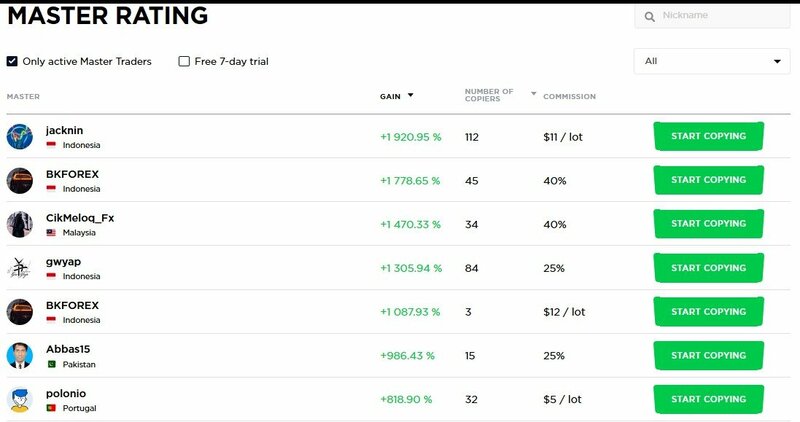 Such platforms not only help you earn some money, but you also get to build your portfolio in preparation for big wins to come. How Does OctaFX Copy Trading Work? What most people do not know about copy trading is that, just learning how to trade in forex, it also requires some skill. The good news, however, is that you may not have to spend so much time doing it. With OctaFX, the process is even simpler. All you have to do is create an account on their official website and you are good to go. The OctaFX signup process is very simple. Once you sign up on the platform, you will be prompted to make a payment, which is deposit that will be remitted to your Wallet. You can use payment systems such as Skrill, Neteller or your Visa card to make your deposit. For those who already have an account with OctaFX, and have funds in their trading account, all they have to do is transfer some of it to their Wallet through the Internal Transfer method. Ideally, the balance in your wallet represents your uninvested funds. Once you sign up and have funds in your Wallet, it is time to search for some Master traders and copy them. When copying master traders, it is important to consider the various strategies. Choosing different strategies will give you more room to subsequently pick one that works best for you. A tool that comes in handy here is the deposit percentage setting. It will also help you in building as well as managing your trading portfolio. Once you identify, follow and copy your master traders, it is time to monitor and make money. The good news is that the platform provides you with unlimited masters to copy. This way, you can successfully diversify your portfolio and earn as much as you can from it. OctaFX also gives you the flexibility of changing your copied master traders or quitting them altogether. Monitoring your copied masters is as easy as checking all the detailed and updated statistics of their moves on your Copier Area. 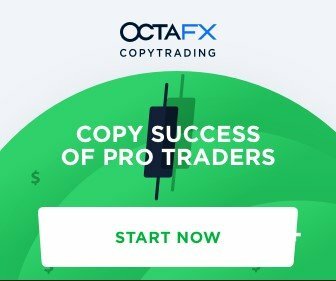 There are many copy trading forex brokers, but One of the many reasons why forex traders choose OctaFX for copy trading purposes is that the platform provides easy-to-use tips on how to master the art of copying experienced traders. Additionally, the platform avails realistic and detailed statistics to help you make the right move. With the help of OctaFX, beginners can learn and build their trading strategies with ease. Above all, you get to make money while at it! Another advantage of using OctaFX for your trading and copy trading needs is that you can easily access your account on your phone or tablet. With the app, you can easily control your “copies”, manage your portfolio and monitor your masters’ moves. You are also able to know and avoid any risks before you make an investment. Unlike other copy trading platforms, users are not limited in terms of the amount of deposit they can make. You can choose to invest as little or as much money as you would like provided that you are guided by the strategy you adopt based on your copied master traders. Anyone looking to work on their mastery of forex trading will also find OctaFX very helpful. All you have to do is create your account and start copy trading. For anyone looking for a creative and fulfilling way of earning passive yet stable income, copy trading is definitely the way to go. If you are inexperienced, do not worry. Not only is OctaFX easy to use, but their customer care support also works around the clock to provide you with any useful information you may need.